1.3 We have enabled Google Analytics advertising features. As such, third parties such as Google Analytics and Google Adwords will track your visit with a cookie. 5.1 We may disclose your personal information to our employees, officers, or subcontractors insofar as reasonably necessary for the purposes set out in this policy. (a) the supply of appropriate evidence of your identity (for this purpose, we will usually accept a photocopy of your valid U.S. Identification Card or passport plus an original copy of a utility bill showing your current address). 13.11 You may opt-out of Google Advertising features and cookies by visiting https://tools.google.com/dlpage/gaoptout/. 14.2 Our principal place of business is at 41743 Enterprise Circle North, Suite 204, Temecula, CA 92591.  14.3 You can contact us by writing to the business address given above, by using our website contact form, by email to info@startingpointrecovery.com or by telephone on (888) 446-9821.